Devin Nunes flew to London earlier this month to gather intelligence on Christopher Steele, the former British intelligence officer who compiled the Trump-Russia dossier – but things didn’t go the way he had planned. Devin Nunes, the Republican Chairman of the House Intelligence Committee, quietly made a trip to London earlier this month in hopes of gathering some intelligence data on Christopher Steele, the former British intelligence officer who compiled the dossier alleging Trump-campaign ties with Russia. The Atlantic reported that Nunes had hoped to meet with officials from several British intelligence services to discuss Steele, who was an MI6 agent until a decade ago. According to two people familiar with his trip across the pond who requested anonymity to discuss the chairman’s travels, Devin Nunes, a California Republican, was investigating, among other things, Steele’s own service record and whether British authorities had known about his repeated contact with a U.S. Justice Department official named Bruce Ohr. To that end, Nunes requested meetings with the heads of three different British agencies—MI5, MI6, and the Government Communications Headquarters, or GCHQ [the United Kingdom’s equivalent of the National Security Agency]. Nunes and staffers working for him have used Congressional powers to investigate persons and organizations Trump and his supporters view as enemies. At one point last year, two Nunes aides unsuccessfully traveled to London to question former British spy Christopher Steele who compiled a controversial “dossier” on Trump. 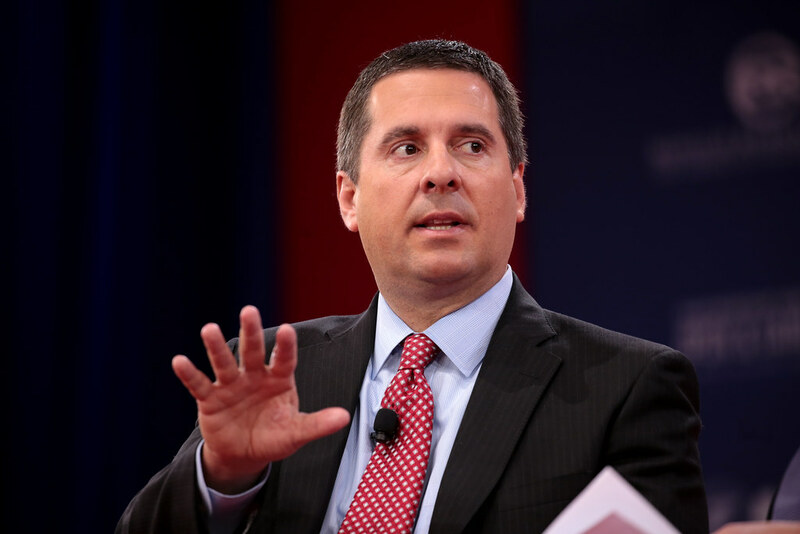 Nunes was looking for more information to back up the House Republicans’ assault on the credibility of Steele and their effort to reveal unsavory connections between him and officials in the FBI and Department of Justice, especially DOJ official Bruce Ohr, who is a central figure in the right-wing case against the Trump-Russia investigation. The New York Times and others have questioned whether or not past actions by Nunes and House Republicans amount to obstruction of justice; and, in July, conservative columnist Jennifer Rubin laid out the possible case for obstruction. “Some of these aren’t legally actionable. It’s no crime to be a rotten committee chairman, although it’s a very good reason to vote Nunes and others out of office,” the article continued. There are, however, incidents that do smack of obstruction. Congressional votes and committee work, speeches on the floor and other action directly relating to the legislative process may be protected by the “speech or debate” clause. The constitutional provision protects members of Congress from being sued or prosecuted for carrying out their official duties. However, there is nothing official in sneaking over to the White House to review classified materials and then publicly misrepresenting them. There is nothing official in outing a confidential source.